As you’d expect, it’s got a pair of DiMarzio humbuckers shoved in there, with a three-way, Gibson-style toggle to select them. The Gibson vibe of Cobain’s Fender is continued with the tun-o-matic style bridge. 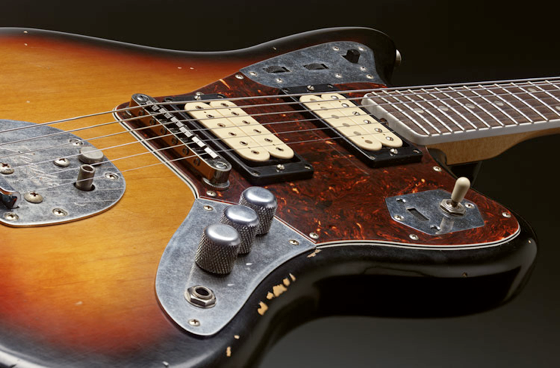 Three chrome-dome knobs take care of volume and tone (individual volume for each pickup). Incidentally, the Rhythm Circuit works as normal if you’re a fan of such things. The rosewood fingerboard is bound and, at the end of the neck, a Strat headstock with a spaghetti logo is loaded with Gotoh tuners. This appears to be a pretty tasty guitar and the ageing/wear has been nicely handled (something that isn’t the case across the Fender range in my opinion). It’s pitched at a MSRP of $1,850 (US) but you’ll likely find it for a better price than that. 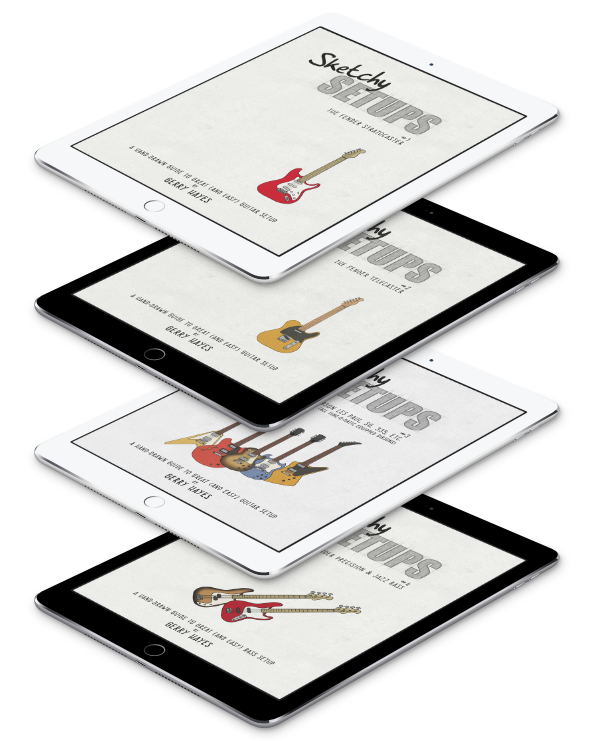 As I read the release information, part of me was hoping that Fender, in an attack of vicious irony would only offer it in right-handed but it’s available for lefties too. I’m a little disappointed. Oh, and if you’ve got a stock model Jag, I can probably mod it for less than $1850. A bit less, anyway.